When I was five years old, I had the first contact with the LEGO-virus and this virus can´t be killed. In the last seven years, I´m searching for vintage modells and this collecting has growing up to the years 1949 to 1979. Until 1979 all instructions have only three numbers. 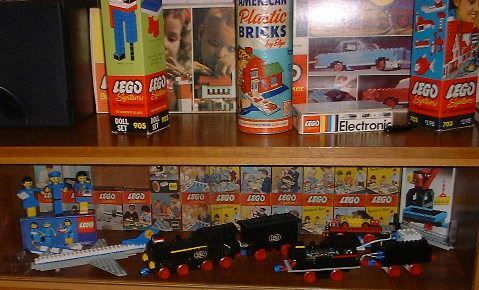 In the first time, I searched for catalogues, because this was the important thing to know which sets were produced by Lego. So I´ve made my first searching list. Here is my actual searching list. And now here I´m in front of a show case im my "working-room". In it are some modells of my childhood and some, which are described in other sides. For example the blue Pick-Up, the houses with yellow roof and the Constellation. 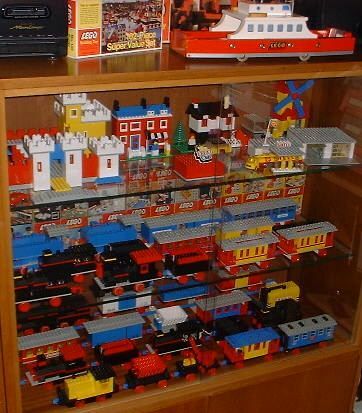 Here is a litte view of my other sets. I like the unknown sets from USA, which are offered under the label "Samsonite" . A wooden-ferry belongs also to my collection ( thanks to Jürgen ). The rare "Weetabix"-buildings are here. Futher railway-buildings you can see on this side. Visit me at the brickshelf galery, so click here. 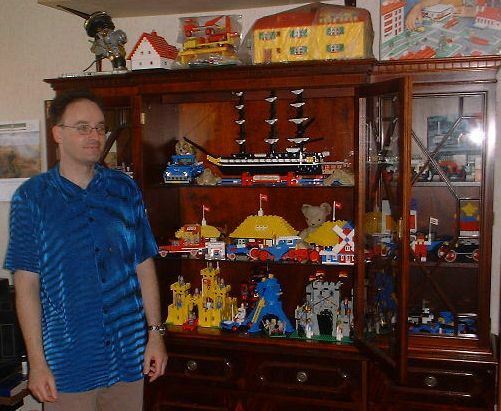 Interested for all german freaks is the LEGO-forum. Here you get informations, answers of your questions and more. Very recommended are Kevin Loch´s web-page for old building-instructions.